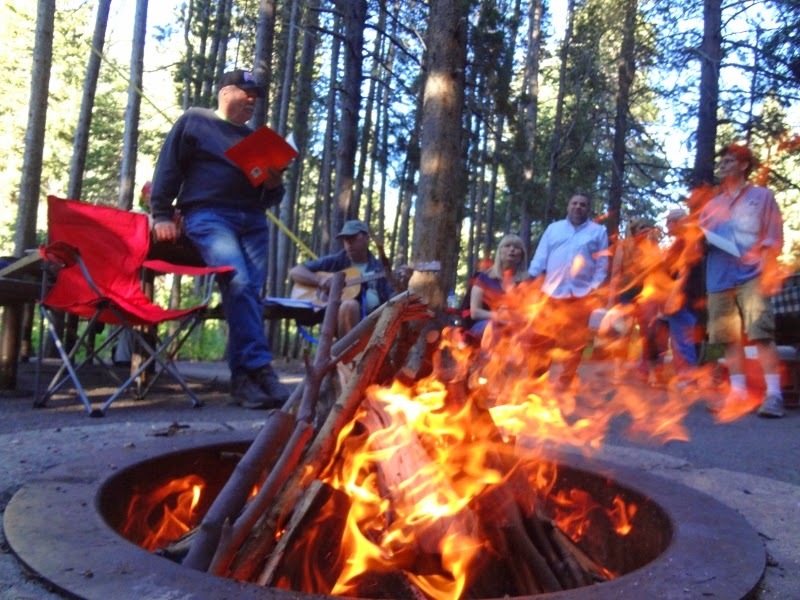 Outdoors with Jesus celebrated its 28th Anniversary in Big Cottonwood Canyon. We joined up with the Canyons Church Singles group for an afternoon and evening that glorified God. 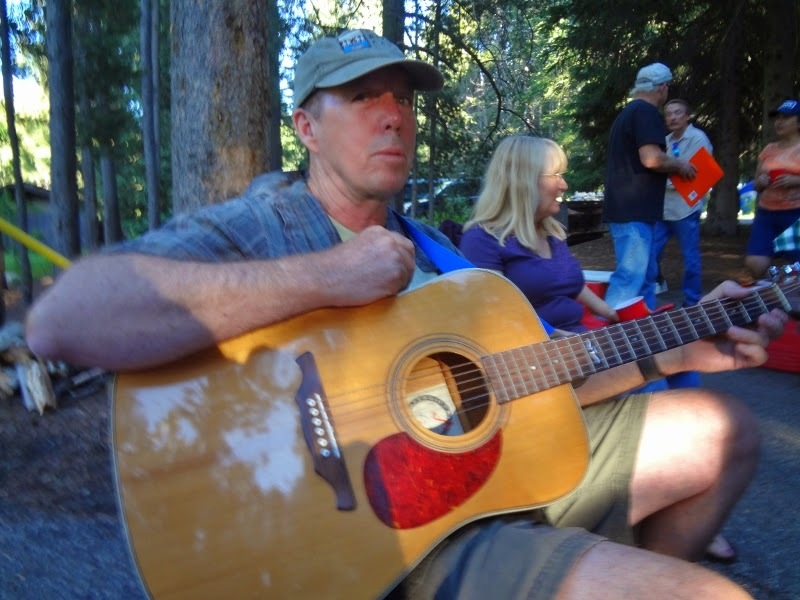 Outdoors with Jesus is not a singles group; but occasionally we will join up with other groups for a big event. 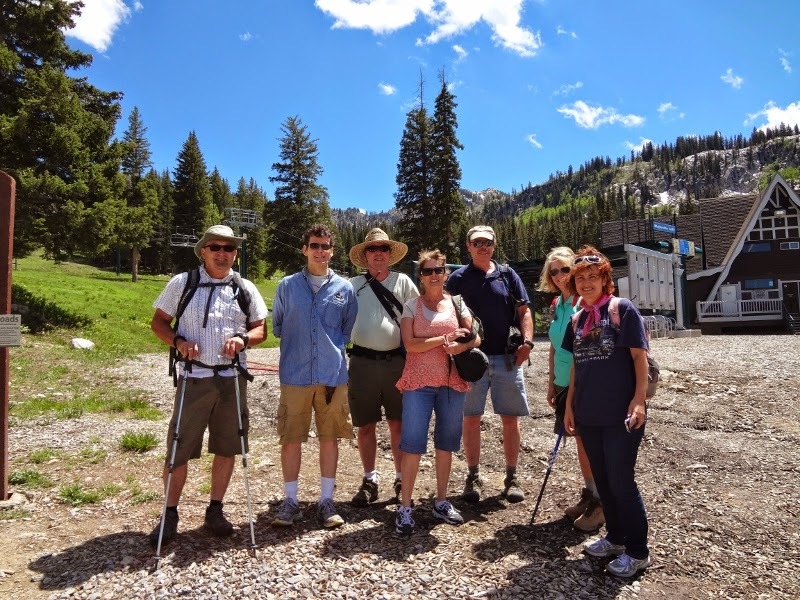 Description: 1 mile hike, 800' elevation gain to a beautiful alpine lake. 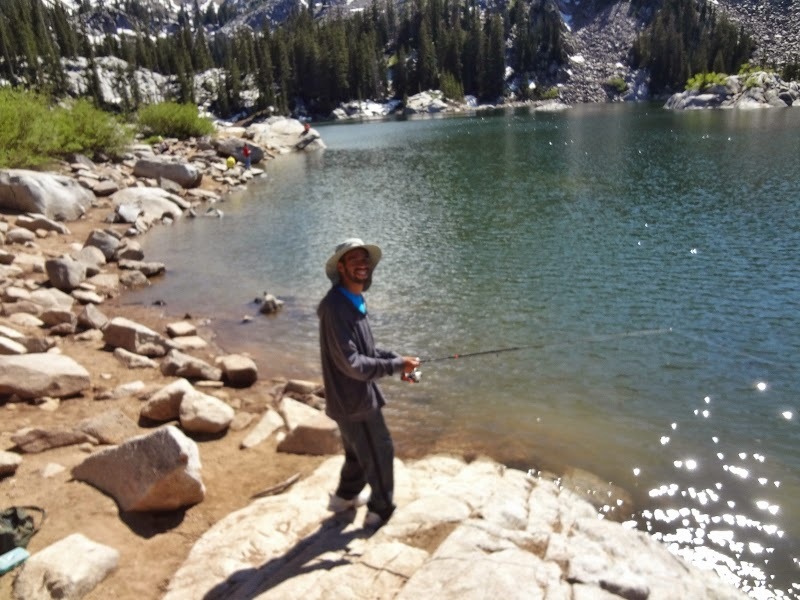 One of our hikers caught two fish. This is a great hike for kids, and easy enough for those new to hiking. Hike rating: Newbies. Big Cottonwood Canyon is a watershed area: No dogs allowed in the canyon, and no swimming and no wading in lakes or streams. Lake Mary trailhead is located in the large parking lot in Brighton, Utah. The Canyon Church Singles group has three or four big events a year. All the singles in Salt Lake are invited. 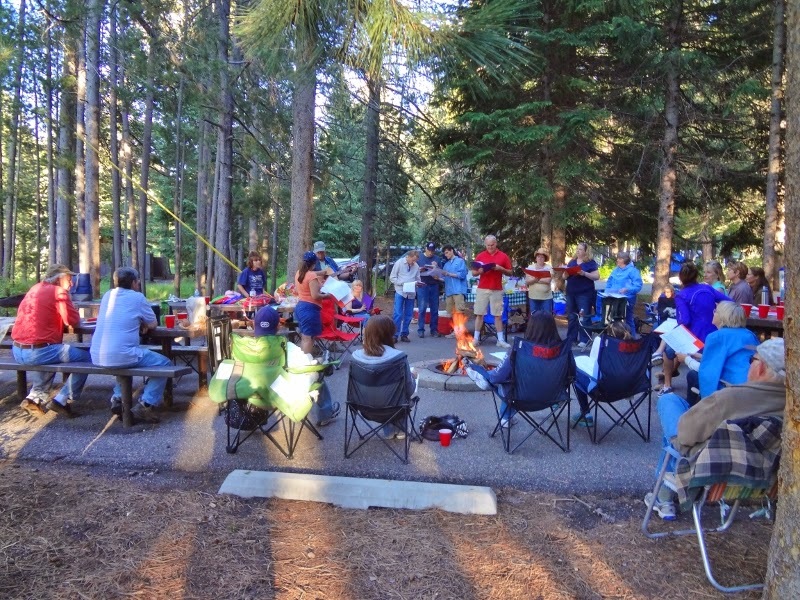 We had a big picnic in the Spruces group picnic area. Hotdogs were provided and we brought a side dish, desert or salad. Singles enjoyed horseshoes, volleyball, good food, great fellowship, worship, and hearing testimonies of how Jesus changed lives.